What are the three first things you would want us to know about you? 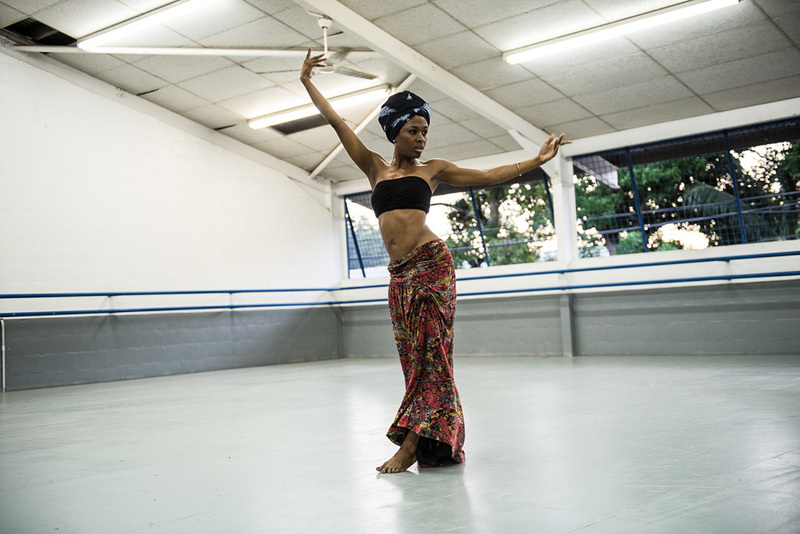 I am a choreographer specializing in Soca and Caribbean Contemporary Dance. 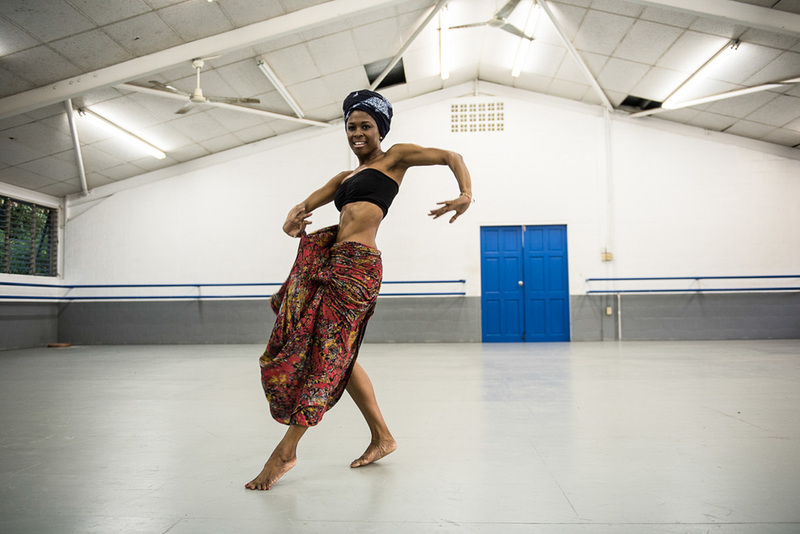 Founder and Artistic Director of the dance company - Elle NYTT based in New York and Trinidad and Tobago. I am interested in teaching dance workshops in different countries as well as taking my dance company to perform internationally. Tell us about your story as a dancer. How did you get started? As a caribbean woman, was it encouraged in your family? I only started dancing at 13 years, unlike most dancers who typically start at 3 and 4 years old. I was doing competitive gymnastics at the time and my mom enrolled me in a modern dance class to help with my grace for the gymnastics floor routines. It was encouraged in my family from the beginning and their encouragement has never dwindled throughout my career. What do you think helped you pursue it as a career? I made that decision to take on dance as a full time career while I was working at the Ministry of Trade and Industry as a Specialist responsible for the development of the Entertainment, Film, Fashion and Yachting Industries.Yes, Yachting... I had been touring with Soca Artiste Machel Montano since 2007, while at the Ministry. It came to a point where I had to make a decision as I had to take a lot of time off to travel. It was around the same time that I registered the dance company, and I also had to spend a considerable amount of time nurturing the business. I remember this phrase that was extremely influential in my decision - You can always fall back on your education, but first follow your passion. With a dancer's career for performances being somewhat limited to younger ages, I felt I should take advantage of the opportunity while I was young. I already had a Masters Degree in Economics, and felt that if the dance career did not work out, I could go back to look for work in the Economics field as I could be an old Economist but probably not an old dancer. 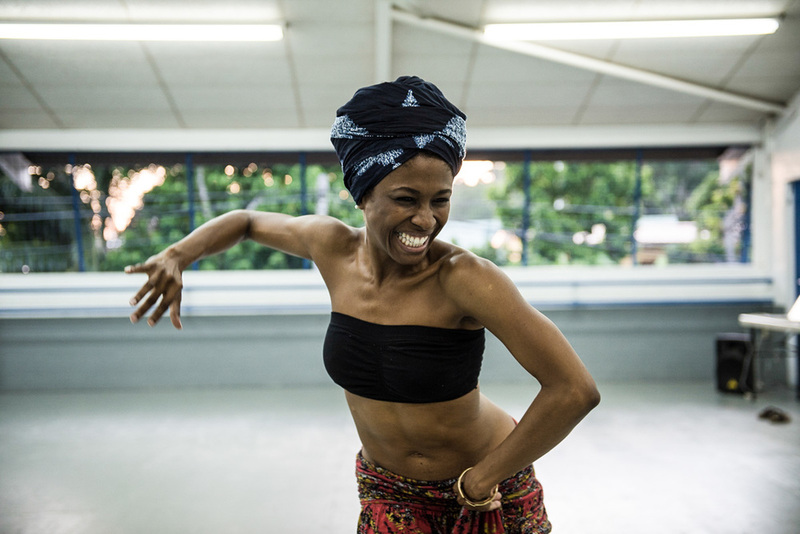 Having graduated with a MFA in Dance from New York University NYU Tisch School of the Arts, I'm now an Asst Professor at The University of Trinidad and Tobago teaching Modern and Contemporary Dance as well as Entertainment Industry Business Seminar. 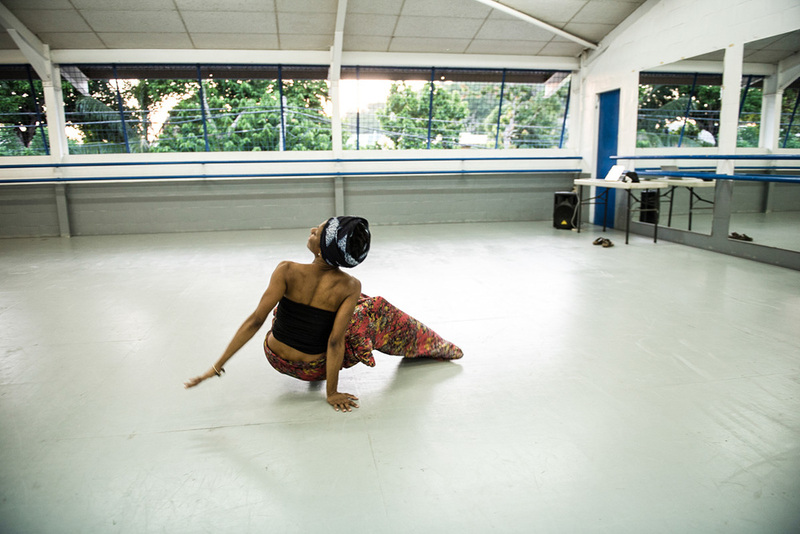 For me it is taking the dance career to another level, but I still want to continue pushing. 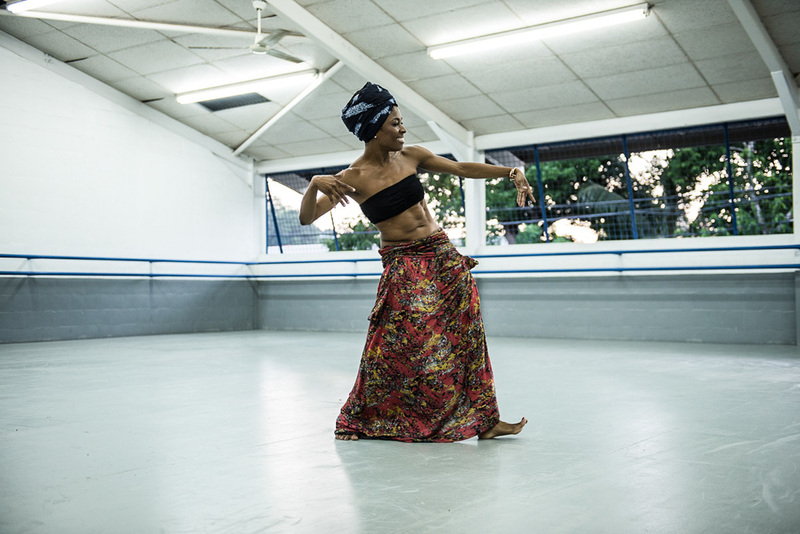 I have done dance workshops in New York, Atlanta, London and Guadeloupe and I look forward to sharing my work with persons in other countries. I feel with my new management (JC Management www.jcmanagement.co), I would get more opportunities to do so. Tells us a bit about ElleNYTT, and your role as the Artistic Director. Elle NYTT was originally established as Elle Incorporated, and the name was changed when we registered the branch in New York. It is structured both as a school and a performing company. So at present we have over 30 classes each week in a range of styles from ballet and modern, to soca, dancehall and hip hop. We have a strong team of 15 experienced and qualified teachers and management team including my sister Halcyon Prescott (Co-Director) and Operations Manager Nichol Daniel. We have almost 40 performing members, and we take on various projects such as corporate events, flash mobs, commercials. We have also put on our own productions. As Artistic Director, I would be responsible for the creative direction of our productions, as well as the strategic planning for the business, and I work directly with those responsible for marketing, administration and accounting. 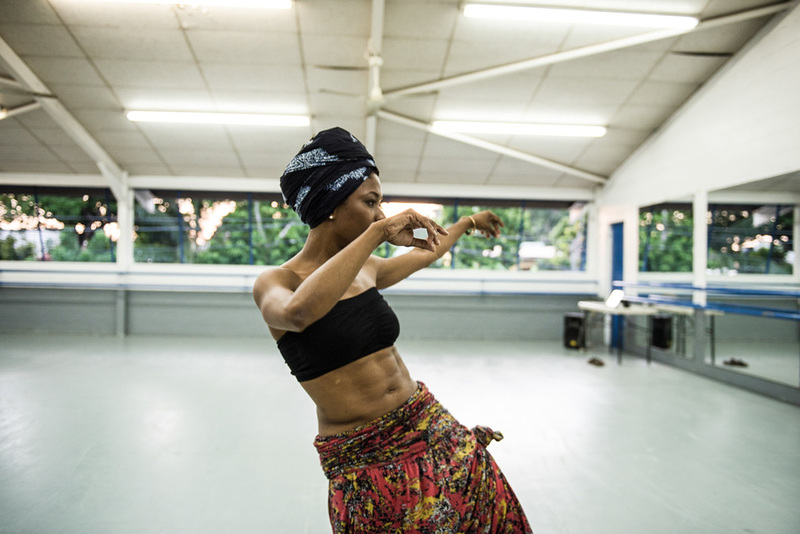 The New York branch operations started after I did some Soca Workshops there and was invited to join the faculty at the Mark Morris Dance Center based in Brooklyn. 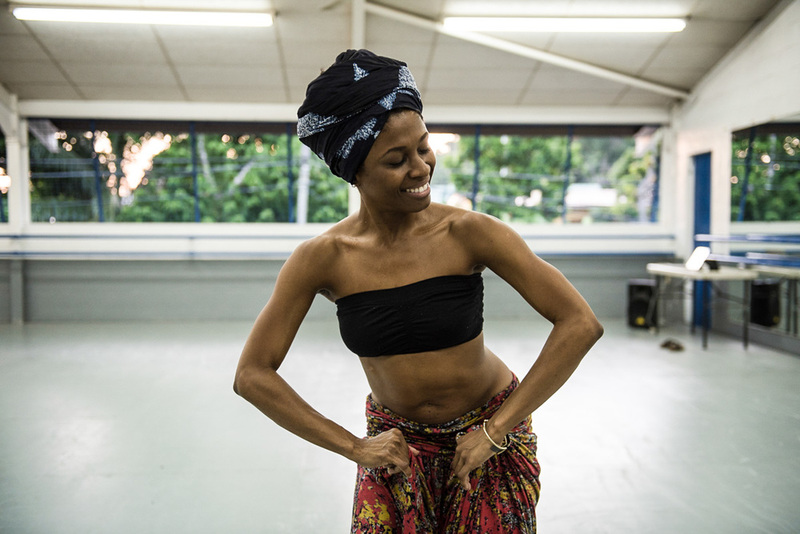 Having moved back to Trinidad, the class is now taught by one of our New York based Trinidadian company members - Candace Thompson. The class is held every Saturday at 3:30 p.m. So far I have been able to go back and forth. This year I visited New York twice and while I'm there I would teach the Soca classes, and try to handle stuff like our company taxes, making strategic alliances, etc. What are are your most exciting dancing memories? One of my most exciting dance memories was being on tour with Pitbull to 22 states in the US. As Dance Captain and Choreographer, I had to prepare budgets for our costuming and props, source and order them, arrange rehearsals, and be the liaison person representing the dancers. Traveling on the bus with the band, you get to one state, check in to a hotel, sound check, rehearse, perform, get back on the bus and travel to another state the next day - It was all pretty intense. I have to say being on tour with Machel Montano was comparable. We performed in most of the Caribbean islands, the US, Canada and Europe. The first time performing at Madison Square Garden was surreal. We also performed at Barclays Center and Radio City Music Hall. The last but definitely not least memory was the first open house class that I taught at the Mark Morris Dance Center. I remember setting up in the room with Katherine Carrera - one of my Elle company members and people just kept coming into the room. We just looked at each other in disbelief. One of the staff members at the center messaged me later that evening and said it was the most they had ever seen in one of the open house classes, with over 90 persons attending my class. What are your inspirations aside from moving so gracefully? My students are my biggest inspirations. It gives me great pleasure to see improvement, and sometimes when you realize that you are simply helping them live their dream, it is very fulfilling. Even persons who would not have taken a physical dance class but would have say perhaps read my story in an interview, and would contact me to say the impact it has had on them in any way regardless how small. Those things mean a lot to me. We know you lived in New York City. Can you tell us your experience as a woman entrepreneur and artist both in the concrete jungle and in Trinidad? Is one harder than the other? New York is definitely harder for me. Growing up in Trinidad, I understand the culture, the ways of doing business, and have a basic understand of the legal requirements. In New York, I had to study the culture almost like a crash course in a shorter space of time. I definitely had to hire persons to assist with the legal framework and accounting. Also in Trinidad, it was easier to do the marketing because a lot of people knew me, both from performing with Machel as well as from television shows that I was involved with. In New York, I had to do a lot of ground work in terms of networking and learning about how the creative industry operates. I am still learning and I believe that process will be a never ending one. As a woman, I had to work harder to gain respect from clients in both places, and having such a small frame also exacerbated the problem. We already know you're a Fanm Djanm, which is why you're being featured. Can you tell us in your own words why you're a fanm djanm? I am a Fanm Djanm because I was not afraid to take risks to pursue a dream. I was able to continue pushing even when persons felt I was making the wrong decisions to leave my job at the Ministry. I find new challenges as a way to ensure constant work towards self improvement. Do you have any advice for any younger or older girls out there reading your story? Have faith that your path is already written, and regardless of what obstacles you may encounter along the way, the Big Man will get you through it. Believe in yourself like no one else will.